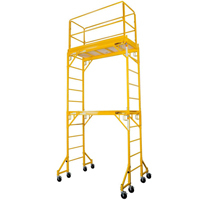 These lightweight scaffolding units are easy to assemble. Suitable for all types of interior work. All steel square-tube construction, yet light in weight.